A link to "Access WiFi Pro usage information for your business " will be sent via email. Your link to 'Access WiFi Pro usage information for your business ' has been sent! 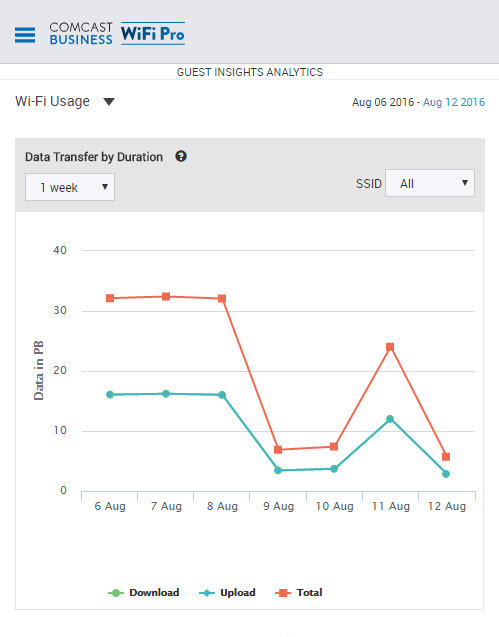 Understand your customers’ trends through advanced WiFi analytics with Business WiFi Pro. Tailor your business based on customer demographics, average shopping times, foot traffic and so much more. 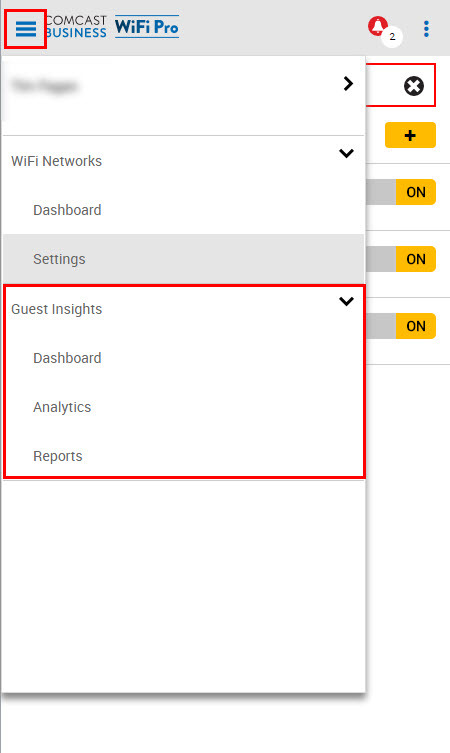 With WiFi Pro, you have access to the following advanced data metrics about your network and the patrons accessing it. The data is available as a Dashboard (high-level overview), Analytics (detailed look) and Reports (downloadable PDF). 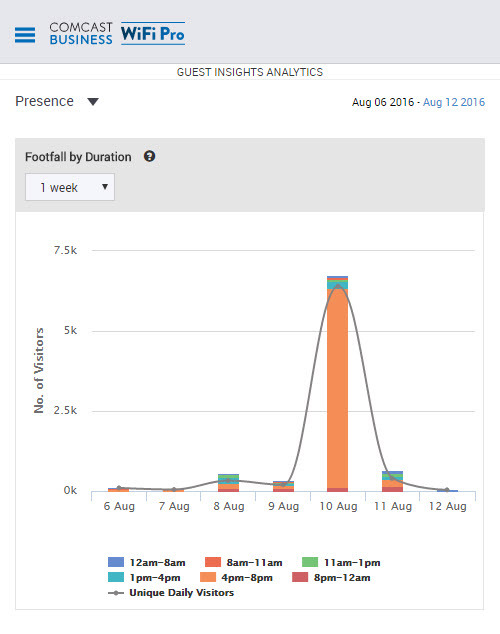 Presence shows the number of visitors (WiFi client devices) detected during different time slots in a day by both duration and location (also referred to as footfall). This also includes Dwell Time: the number of visitors (WiFi client devices) broken out by the amount of time they were detected on the Guest WiFi network. 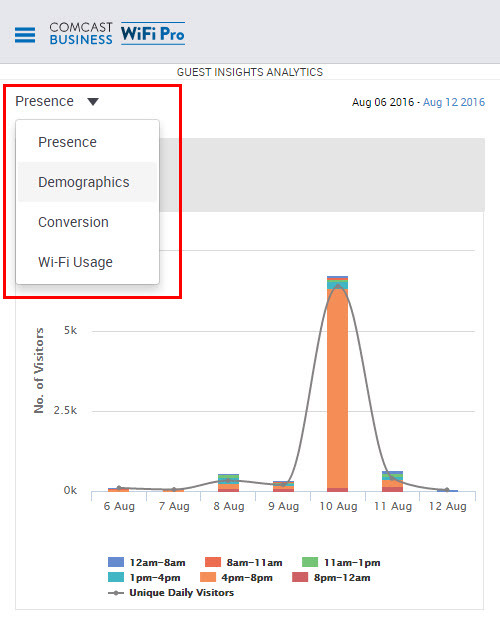 Demographics will show the authentication methods used by guests to log in to your business’ Guest WiFi network. Gender and age demographic data will then be generated from their login credentials, driven by social media authentication. Conversion captures how many unique visitors entered the guest network “zone”. This will also capture “loyalty” – this is the number of times a unique visitor connects to the guest network. WiFi Usage shows the amount of download data, upload data and total data transferred for a selected time period and per SSID (network). Navigate to the WiFi Pro Portal and sign in to your account. 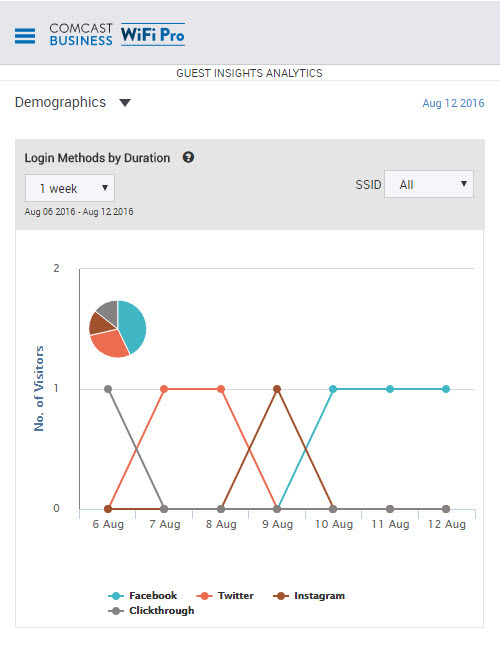 Select the menu icon, then select Guest Insights to see the available data: Dashboard, Analytics and Reports. 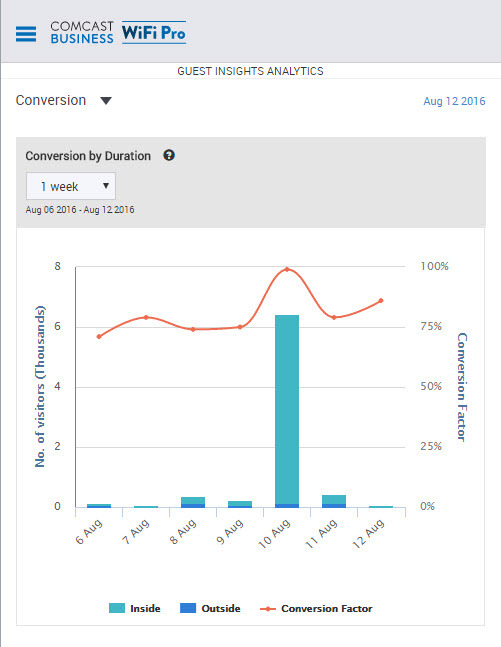 For a detailed look at the available data, select Analytics. Presence will be selected by default. Click the dropdown arrow to select from the other available categories. Use the filters to change the duration or see data for specific SSIDs.